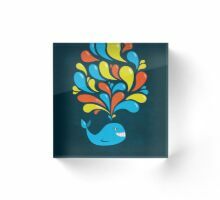 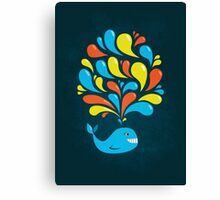 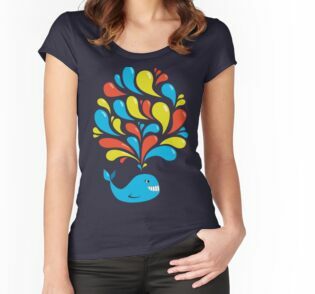 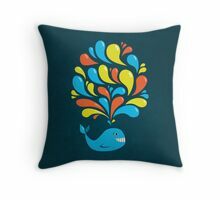 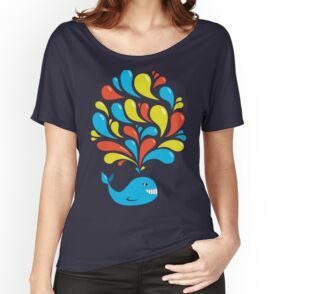 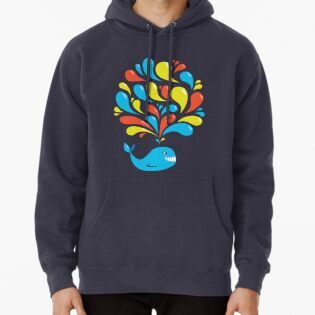 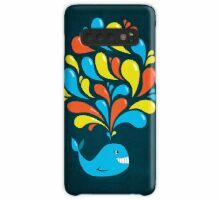 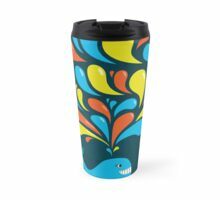 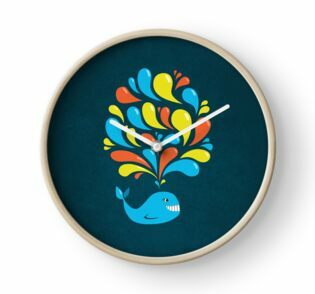 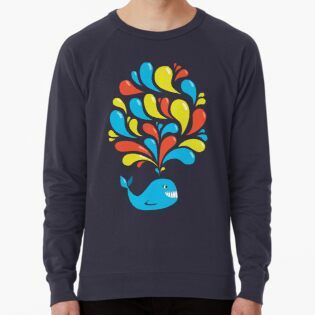 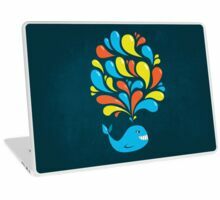 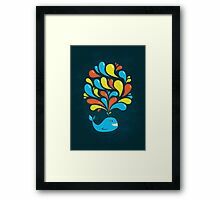 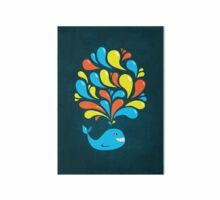 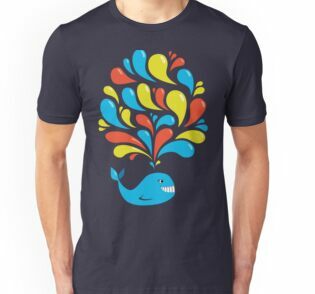 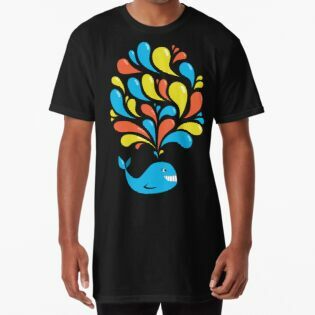 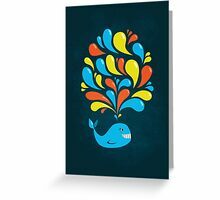 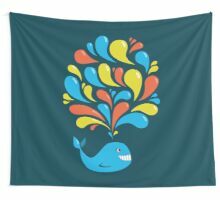 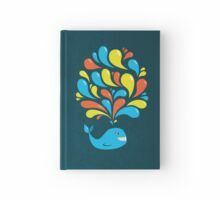 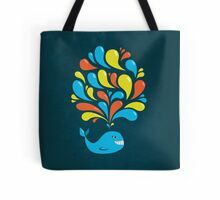 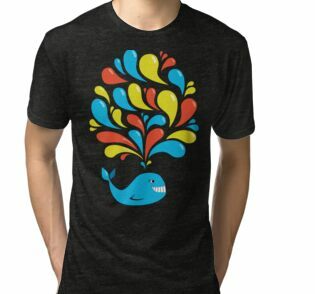 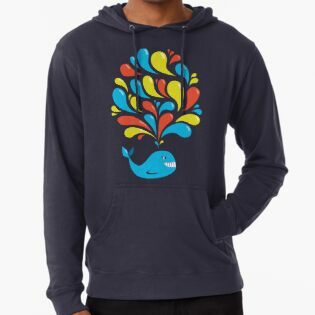 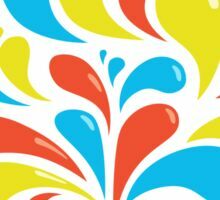 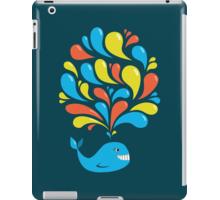 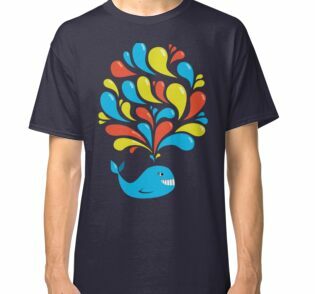 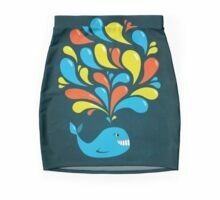 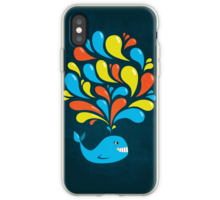 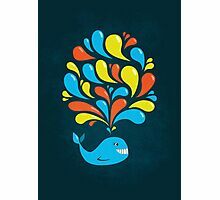 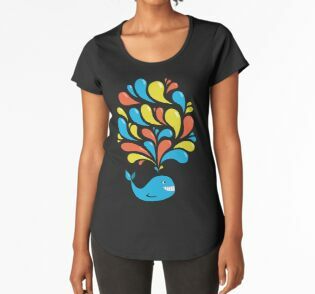 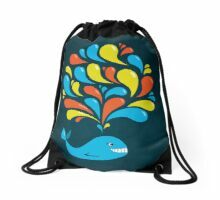 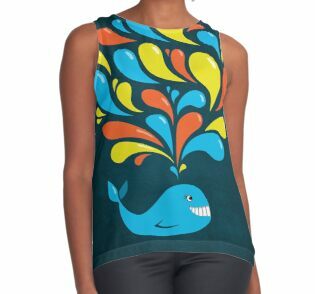 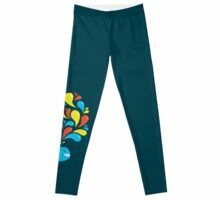 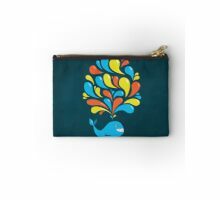 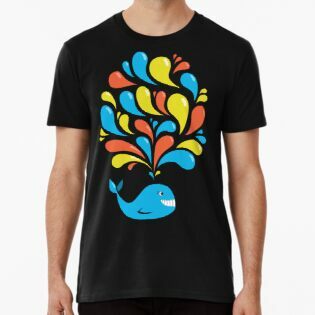 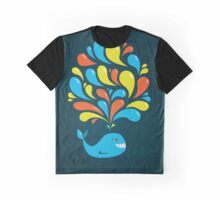 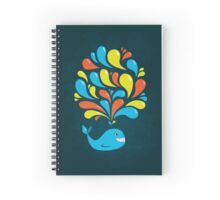 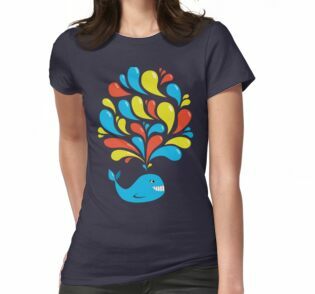 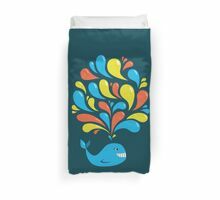 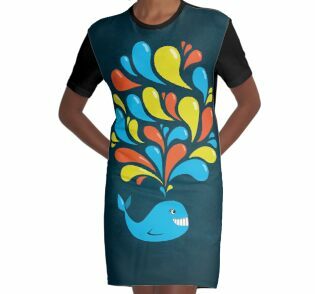 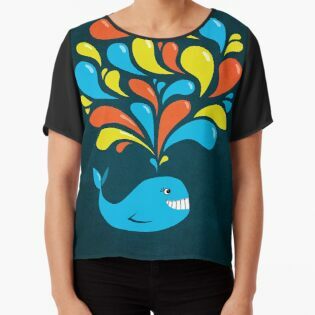 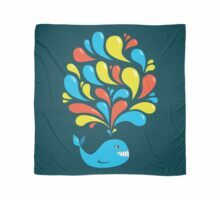 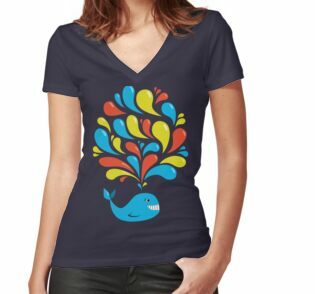 Fun and happy colorful illustration of a cute whale splashing bright blue, yellow and orange swirls on dark blue background. 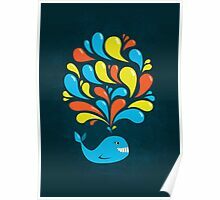 What a wonderful, happy Whale! 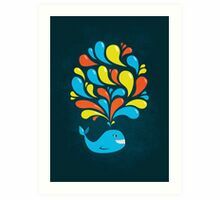 Love that piece of art! 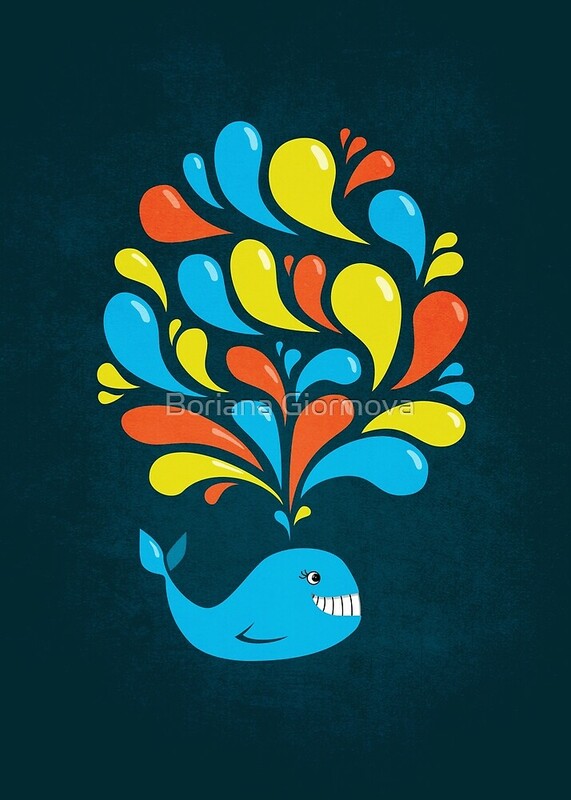 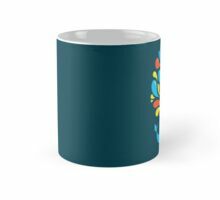 Full of joy and good vibes!